Is Higher Education the Gateway to the Middle Class? That’s the good news. But there’s bad news too. The research confirms another pervasive belief about higher education that students from wealthy families are much more likely to excel, both in the classroom and after graduation than their less fortunate peers. Chetty’s team found that students from wealthy families were, on average, 29 percentiles higher in the wage distribution than their counterparts from low-income families. These findings are among the many insights Chetty’s team was able to isolate, and are the result of putting the right data in the hands of the right researchers, generating important new knowledge in the higher education sphere that has previously remained unavailable or incomplete due to limitations in data availability and access. In this study, the authors connect parental earnings data to information on college attendance and children’s earnings in early adulthood, to explore how college enrollment impacts the life trajectory of actual students. Access is still a problem. At Ivy Leagues schools and other elite private colleges, there are more students from the top 1% than from the bottom 20%. The data show that children born into the top 1% are 77 times more likely to attend an Ivy League or other elite colleges. While we’ve made great strides in the last decades at expanding access to higher education generally, students remain segregated by income across the selectivity of the institutions they attend, and the problem is worse for private nonprofit institutions than public colleges and universities. In addition, the research team found no evidence of a so-called “missing middle,” shorthand in education circles for middle-income students who are squeezed out by rising tuition prices but aren’t eligible for need-based financial aid. Students from the same institutions have similar earnings outcomes regardless of economic background. In general, the relationship between parental income and students’ future earnings is significant. Within specific colleges, however, this gap is 76% smaller than that of the population as a whole, meaning that the schools play a significant role in leveling the playing field for their low-income students. As a result, the researchers argue there is no evidence of the Antonin Scalia theory of mismatch (otherwise known as “overmatching”): that low-income students would be better off at less selective colleges because they are not prepared for more advanced coursework. On the contrary, the data would seem to suggest that “undermatching” is a bigger problem. In other words, low-income students should try to go to the best colleges they can, as they will end up better off for doing so. Certain colleges are much better at getting low-income students into the top income quintile, but they’re not necessarily the ones you’d expect. The researchers defined mobility rates as the product of the access rate, or the share of low-income students enrolled, and the success rate, the share of low-income students who make it to the top quintile. Mid-tier public four-year universities that enroll a lot of low-income students and provide them a decent education stole the show. California State University at Los Angeles and Stony Brook University, which is part of the State University of New York System, had the highest overall mobility rates, with 10% and 8.4%, respectively. The news wasn’t all good for these institutions, however. Some of the schools that had the best mobility rates, like Stony Brook, appear to have become less accessible to low-income students in recent years. It’s unclear why this is, although reductions in state funding could have something to do with it. One the other hand, if you care about becoming a one-percenter, going to the most elite college that you can is your best bet. While the most selective colleges perform poorly in terms of providing access for low-income students, those who attend Ivy League and other elite college s have a much better chance of accumulating great amounts of wealth than do their counterparts at other types of institutions. For example, low-income students at Stanford make up just 3.6 percent of the student body but have an 18.5% chance of striking it rich. How much this has to do with the quality of education the institution offers or the connections that students make at one of the country’s most prestigious colleges is unclear. At New America, we believe that the report Chetty and his research team wrote is a must-read for anyone who studies or cares about socioeconomic diversity on campuses. Even more impressive is the dataset they have built, which shows the economic breakdown of students at individual campuses, as well as the record of each of these institutions in providing social mobility for their students. To try to bring more attention to this research, densely packed with implications for higher education policy, we will be running a series of blog posts digging deeper into the data. 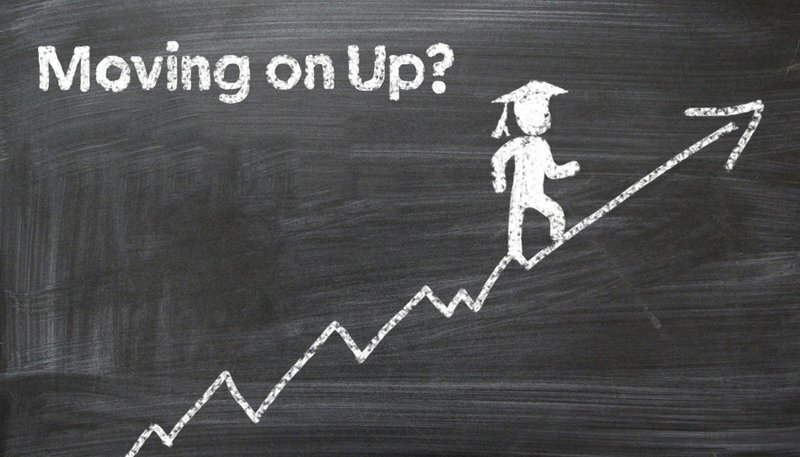 Follow along on twitter using #MovingOnUp.